New students are welcome to attend any class. PLEASE NOTE THAT THERE WILL BE NO CLASS ON THE KUHIO DAY HOLIDAY (Tuesday, March 26). The Mililani Aikido Club is affiliated with the Aikikai Foundation and the Central Pacific Aikido Association. Originally established by the late Takaji Ishida Sensei, 8th Dan, the club embraces the goal of O Sensei to spread the spirit of Aikido to people from all walks of life. 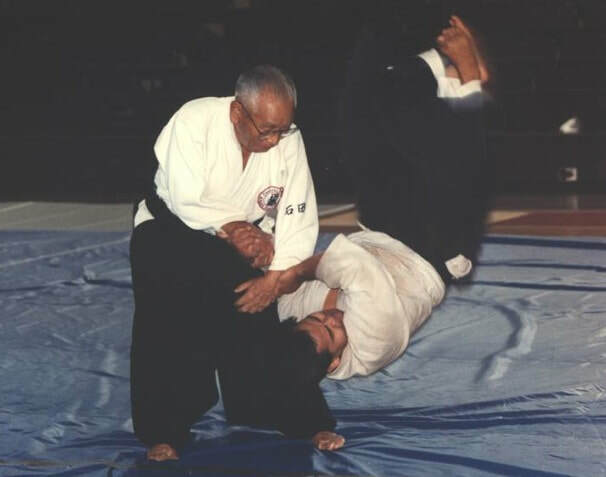 In his final instructions, O Sensei was quoted to say, "Aikido is for the entire world. Train not for selfish reasons, but for all people everywhere. It is in this spirit that we endeavor to practice Aikido on and off the mat. We welcome you to come and join us! Visitors are always welcome to come and join our practices; no pre-arrangements are necessary. ​Simply show up and join the fun!